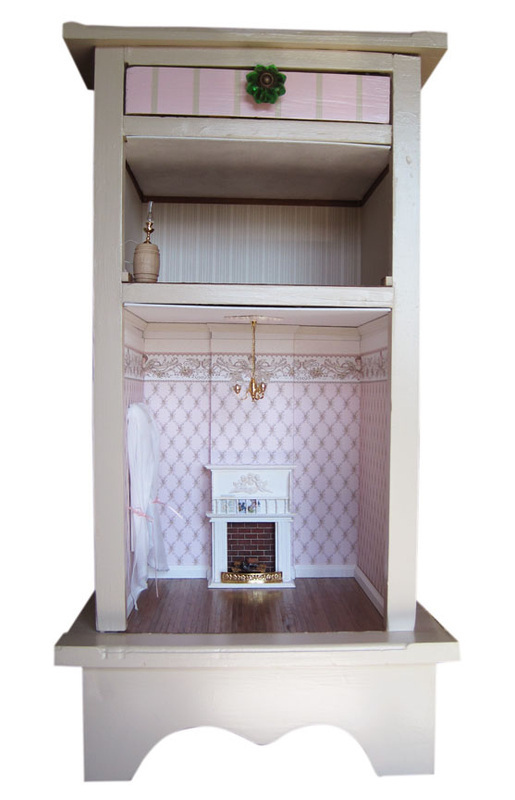 This Victorian Nursery Doll House was once an small end table. It still has a working drawer, a beautiful glass knob and is lined with pretty paper. 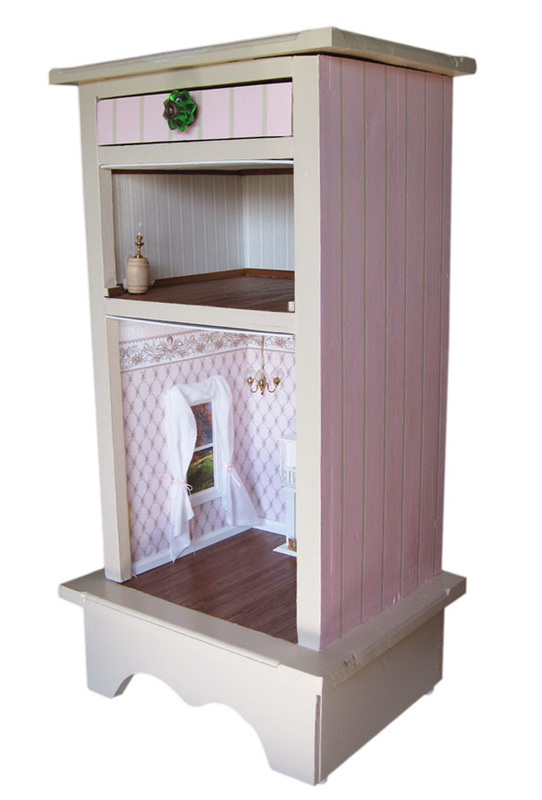 The top is decoupage with a doily and the back and sides are painted with a pink and beige pinstripes. The room features a handcrafted original fireplace with a electrified working fire. It has a tiny book rack which can hold children's books. The window is easily removed and the picture backing can be replaced. Lovely curtains drape the window. The walls are wallpapered and the cornice trim around the ceiling has a raised pattern. The floors are walnut. The hanging chandelier is electrified and a third hidden plug outlet is available to light the attic room. This nursery and attic is just aching to be filled with toys and other Victorian treasures.